Rene Lalique Decanter Selestat: A re-offer from February 2, 2019. Now Lot 268 Est: €300 - €400. 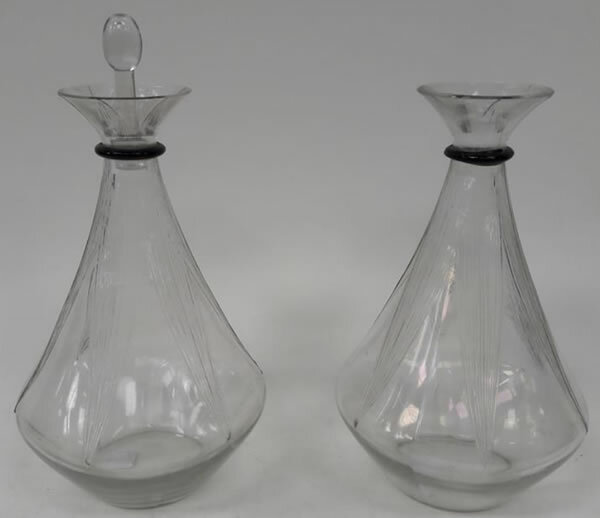 A pair of leaves motif black glass neck-ringed R. Lalique Decanters one of which is misssing the stopper and being 27.5 cm and 4 cm tall respectively. Lot No. 226 Est: €350 - €450.